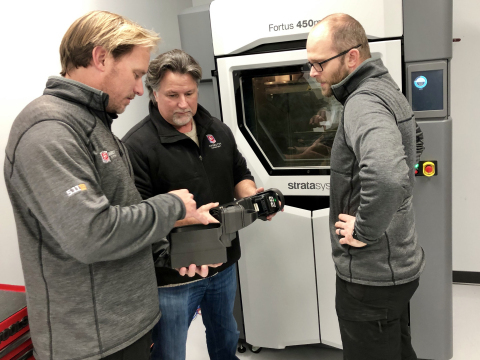 SOLIDWORKS WORLD – Enabling leaders across professional racing to gain a competitive edge with state-of-the-art 3D printing, Stratasys (NASDAQ: SSYS) today unveiled a new collaboration agreement with Andretti Autosport. A top performer in IndyCar, Indy Lights, Rallycross and Formula E, Andretti aims to leverage advanced FDM technology and materials to accelerate design and development of the team’s diverse racing platforms. Stratasys, the Stratasys signet, FDM, Fortus, F370, 450mc and PolyJet are trademarks or registered trademarks of Stratasys Ltd. and/or its subsidiaries or affiliates. All other trademarks are the property of their respective owners.